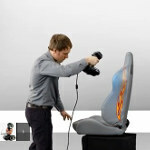 Cable protection without application restraint! The Triflex R Energy Chain System from igus is a multi-axis cable carrier built for a range of applications. With 3 dimensional flexibility in a range of protection levels, Triflex R is perfect for lightweight to heavy duty applications. The high tensile strength of Triflex R means even applications on six-axis robots with complex configurations are possible. The modular design also enables cables and hoses to be separated, optimizing service life and minimizing downtime. Servometer flexible nickel metal bellows couplings are a proven reliable alternative to spiral wrap style couplings in encoder applications that require shaft misalignment, low torque and high torsional stiffness. Choose from a variety of bore sizes, diameters, lengths and torque values. 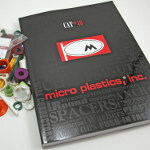 We can offer a standard part or a custom design based on your requirements. 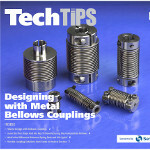 Read our "Designing with Metal Bellows Couplings" e-Book here. An MIT spinoff company has developed a commercial electrospray propulsion system, about the size of a pack of gum, that provides thrust for small satellites to keep them in space. Among other advantages, the novel module can be manufactured for significantly less than today's alternatives. Cadillac will use an advanced mixed-material approach for the lightweight body structure of the upcoming CT6 range-topping sedan. The structure is aluminum intensive, but the new Cadillac also includes 13 different materials customized for each area of the car to simultaneously advance driving dynamics, fuel economy, and cabin quietness. In the manufacturing of complex fuel housings for the global aircraft industry, cost savings of more than 30 percent and weight savings of up to 50 percent can be achieved compared to existing metal designs. The efficient production, including part consolidation, is the result of Egmond Plastic, a leading injection-molding specialist, combining their own fusible-core technology with a high-performance PEEK polymer solution provided by Victrex. If your vision of the future is 3D printing your own high-hardness steel bearings right at your location on demand, your wish has been granted. A new development from the NanoSteel Company supports the market need for on-demand, on-site wear parts while addressing the current challenges in 3D printing of high-hardness parts. NanoSteel's powder alloy overcomes one of the major hurdles to achieving a high-hardness metallic part through additive manufacturing: the tendency to develop cracks during part builds. The company worked with a global process development partner to optimize processing of a proprietary NanoSteel alloy with a high volume fraction of borocarbide phases. This successfully produced a fully dense (99.9 percent) crack-free part with hardness values over 1000 HV, wear resistance comparable to conventionally manufactured M2 tool steels, and a uniform microstructure. 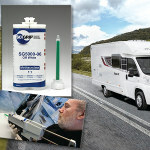 SCIGRIP provides transportation design engineers with a series of structural adhesives specifically formulated to provide tough, durable bonds for a wide range of metal, thermoset composites, and thermoplastic substrates. These low-VOC methacrylate adhesives bond metal, composites, and plastics to enable quicker, more economical, and less labor-intensive assembly operations than mechanical joining methods or welding techniques. SCIGRIP adhesives are available in several product series with a variety of curing times, from products that set in as little as 4 to 6 min. for relatively small applications, or as long as 15 to 40 min. for more complicated assemblies requiring precise positioning. 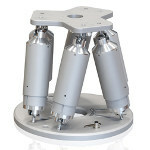 The PI H-820 hexapod from Physik Instrumente (PI) was developed for applications that require multi-axis motion and high flexibility but do not need sub-micron precision. This new model caters to these needs with linear travel to 100 mm, rotary travel to 60 deg, and a load capacity of 20 kg. High velocity and long service life are guaranteed by direct-drive brushless servo motors. Position repeatability is in the low micron range. A controller and software are included with all PI hexapods. Using lab tests and computer simulations, Iowa State engineers have found that adding a secondary rotor can increase a wind farm's energy harvest by 18 percent. 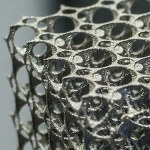 Like their natural role models, Festo's 3D-printed BionicANTs work together under clear rules. They demonstrate how autonomous individual components can solve a complex task working together as an overall networked system. 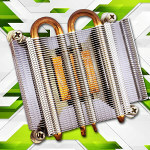 The laser-sintered components are embellished with visible conductor structures. Festo -- a pneumatics and electrical automation company -- leverages the benefits of piezo technology for the actuator technology used in the legs. The bending actuators can be controlled quickly and precisely, work on little energy, and do not need much space. Validating your plastic part designs with SOLIDWORKS Plastics will ensure proper fill, determine best gate location, and eliminate potential defects and improve part quality. Take a look at this intro to the software.